The What: Middle Atlantic Products showcased its new Premium Online UPS Backup Power System at InfoComm 2016. The system isolates and conditions output power through a double conversion process, with the aim of offering the cleanest possible power solution to ensure the system reliability AV integrators demand. 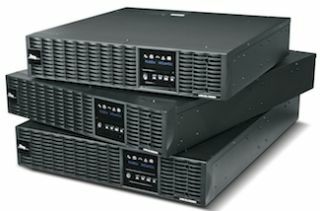 The What Else: The new Premium Online UPS Backup Power Systems are available in three models: 1500, 2200, and 3000VA and feature the longest run time available in a 2RU form factor, according to the company. This form factor offers integrators quick, one-person installation and allows them to add up to 10 expansion battery packs to extend runtime protection for even the most demanding environments. As front-accessible systems, integrators can easily install and maintain them, while hot-swappable batteries eliminate downtime due to maintenance. Battery life is fully monitored and reported, sending notifications in real time for optimal performance and reliability. An optional IP card gives technicians the power to remotely monitor and control the system’s health more efficiently.